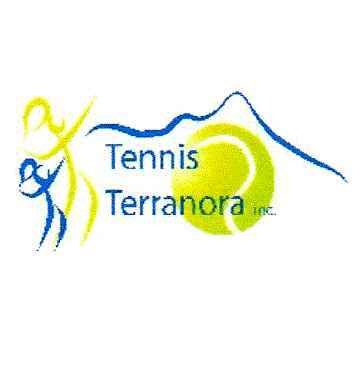 Tennis Terranora is a community tennis club established over 40 years ago, providing an environment for tennis and social activities for everyone, from juniors through to senior players and supporters in our local area. Our club has recently moved to a new location, with land supplied by our local Tweed Shire Council, and an award winning clubhouse constructed with the assistance of Government Grants, club fundraising and the local community. Tennis programmes include club social tennis, graded competition fixtures, court hire and coaching. Our club has always maintained a strong junior development pathway, from pre school Tennis Australia sponsored "Hot Shots", through all ages of junior coaching to advanced tournament players. Training is provided by our two club professionals, with either individual or group lessons. Our club is managed by a committee of volunteers, who provide their time and input free of charge, to maintain control of our facility, in partnership with our local Council and Tennis Australia. Early in November, our Clubhouse was attacked by vandals, with property stolen, and the Clubhouse burnt to the ground in an effort to destroy any evidence. This is why we are reaching out to community for financial assistance in re-building our Clubhouse. If all goes to plan, we will reconstruct the building exactly as it was, with some minor changes to the interior, to be more suitable for purpose. With only 2 years occupation of the new facility, this has been a devastating setback for our club. Currently, we have 3 hardcourts and 2 clay courts. Since the move, our tennis activities have expanded, requiring the building of more courts to service demand. To this end, we were in the process of building 3 natural grass courts, which must now be suspended. The destruction of our Clubhouse has set us back at least 12 months, and will leave us with an increased financial commitment, which will be difficult to service. Hoping you can help, thank you. Thanks to Rob Nienhuis for your tireless efforts in completing the construction of the Clubhouse and facilities, and getting the project going again.